Michael Scott’s ffrench-Mullen House, built in 1941 was demolished early in 2014 despite attempts by many to gain protection for what was considered to be a pioneering modernist social housing block. The block was commissioned by Charlemont Street Public Utility Society (PUS) as part of a bigger scheme designed by Michael Scott to re-house local tenement dwellers in the event of the construction of St Ultan’s Hospital and consequent demolition of tenement houses. The proposed later parts of the scheme, which would have stretched from Charlemont to Richmond Streets, were not undertaken due to the outbreak of WWII. 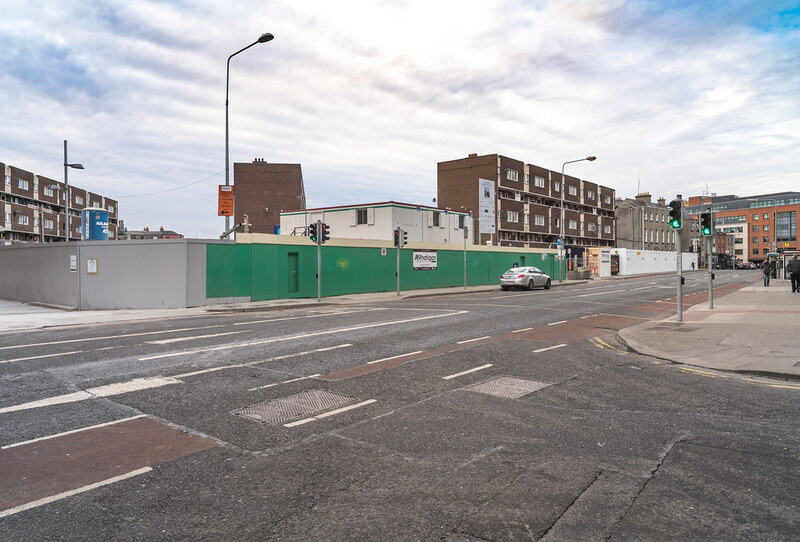 The first phase of the re-development of the site at Charlemont Street sees the delivery of 79 social housing units and a range of community amenities. The second phase of the project will see the development by McGarrell Reilly of 184 private residential units, bringing to 263 the total number of homes in the complex.